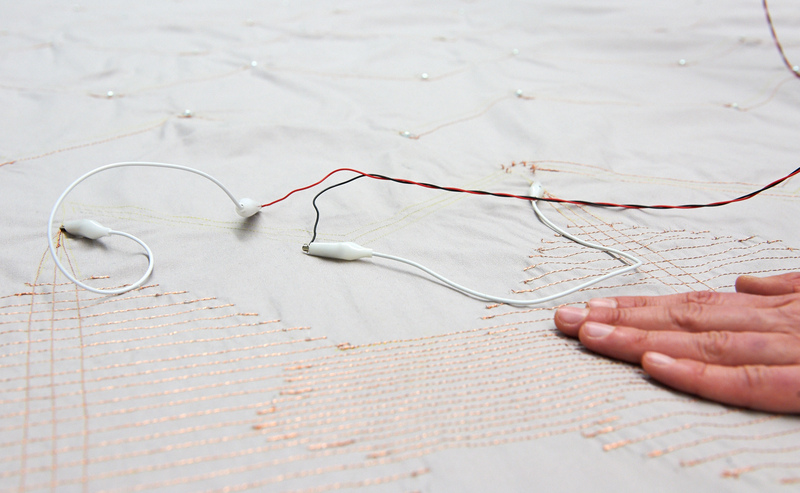 From pure textile education I came to interactive textiles when I met Maurin Donneaud at La Blackboxe, his past hackerspace. 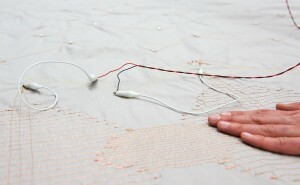 I am very interested in the meeting of electronics and textile techniques, specially hand crafts and knitting machines and combining soft properties with electrical signals. 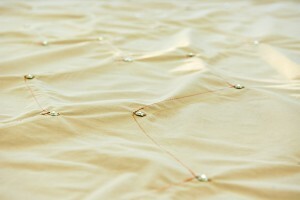 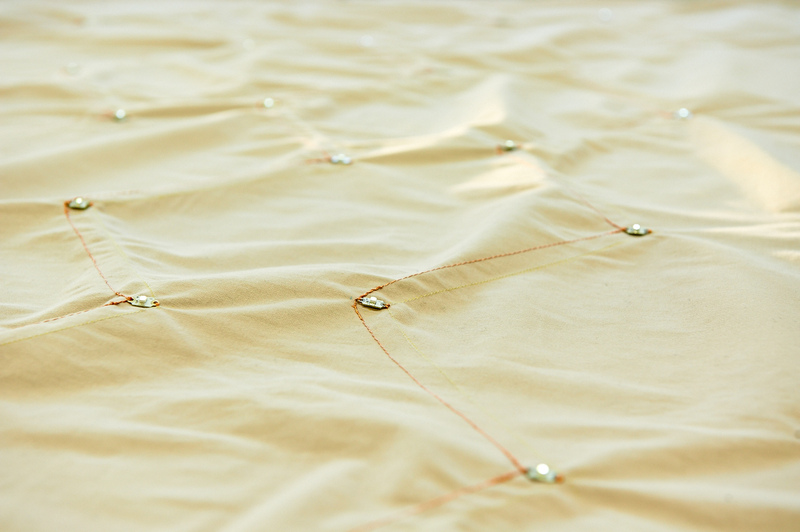 Curtain prototype with LED display and sewed capacitive sensor, at the Design Research Lab.